SEB GAINS EUROPEAN COMMUNITY WHOLE VEHICLE TYPE APPROVAL TO SELL ITS RANGE OF EQUIPMENT THROUGHOUT EUROPE AS WELL AS UK. As from the end of October 2012 it became a mandatory requirement that all newly manufactured units built and supplied for Highway use must strictly comply with EEC Directive 2007/47/EC later amended by EU. No. 371/2010 and before sale and entry into service must be assessed, inspected and approved for compliance by an EEC recognised authority. Six function road lights with reversing lights and 13 pin connector plug. Rear underun protection bar (where applicable). Fully approved operational brake systems. Prior approved 17 digit V.I.N/Chassis plate. 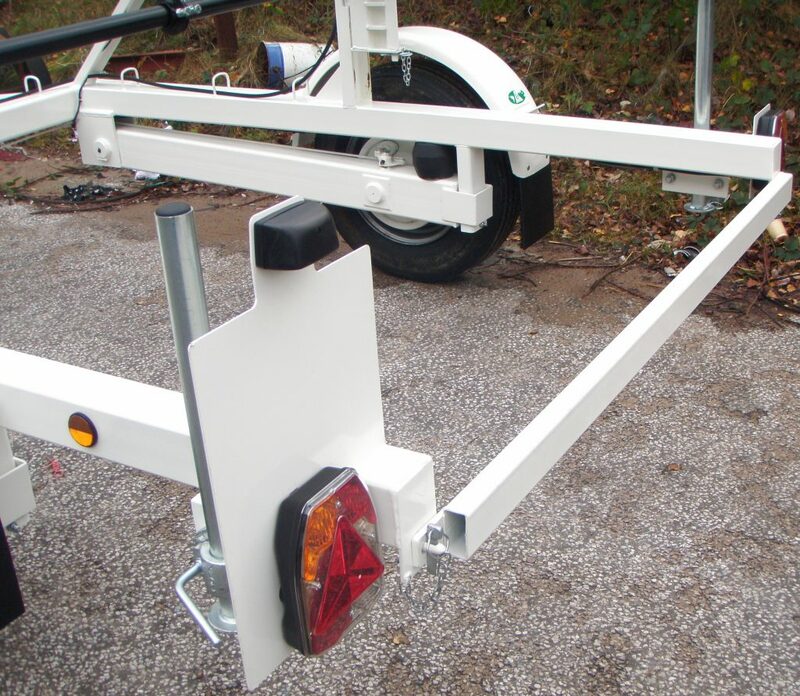 Non swivel tow eye (air braked trailers only). Issue of EC Certificate of Conformity. SEB International Ltd are therefore pleased to announce that following exhaustive and detailed assessment and inspection processes by the UK Vehicle Certification Agency (V.C.A) covering all technical aspects and manufacturing/documentation procedures, we will be awarded European Community Whole Vehicle Type Approval (E.C.W.V.T.A) status on all our relevant trailers and winches designated for immediate road use both in the UK and all member countries within the European Community. All product specifications within the Website have been updated to reflect this latest EEC legislation now in force.